The first Leica digital rangefinder camera ever made will be auctioned next month to raise money for charity. 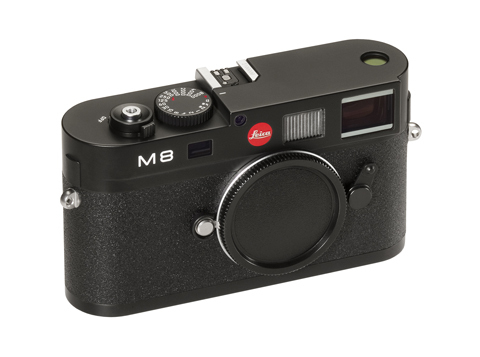 The historic M8 model will be auctioned at the Westlicht Photographica Auction in Vienna, Austria on 7 June. Auctioneers estimate that the 10.3-million-pixel camera will fetch up to ?30,000 (around £24,000). The M8 is the digital version of Leica?s legendary M-mount rangefinder camera. It was first unveiled at the Photokina trade show in Cologne, Germany in 2006 when Leica claimed it inherits ‘all the key characteristics of the analogue Leica reporter’s camera’. Leica?s decision to auction the camera was so last minute that it was too late to be included in the auction sale catalogue, according to Westlicht. A flyer dispatched with the catalogue earlier this week states: ?It comes with a letter by the CEO of Leica company, Dr Andreas Kaufmann, attesting to the significance and authenticity of this important piece of Leica history. All the original boxes, instructions and papers are included.? The charity to which the proceeds will be donated had not been named at the time of writing. Leica Camera AG had yet to comment. Earlier this year, controversy shrouded future plans for the Leica M8, forcing the dismissal of the firm’s former CEO Steven K Lee.